My team and I have recently launched a review program for retail businesses. It involves analysing the business across 18 areas, with mystery shopping, an internal review and a full analysis of their marketing materials. We then present the findings in an interactive workshop. The process, called an ‘Opportunities Audit’, is designed to bring an objective perspective to a business, which in itself often produces powerful results through a renewed clarity and an external point of view. In business, and I’ve been guilty of it, it’s easy to get too close to things and while there’s merit on having a firm finger on the pulse of your business, that can sometimes lead to subjective-based decision making and not-so-great outcomes for your business. We all witness this daily as consumers with the brands we interact with – from marketing messages to the customer experience and even complete advertising campaigns that were clearly designed within the confines of one person’s personal taste or idea of creativity but not reflective of the target audience for the brand. 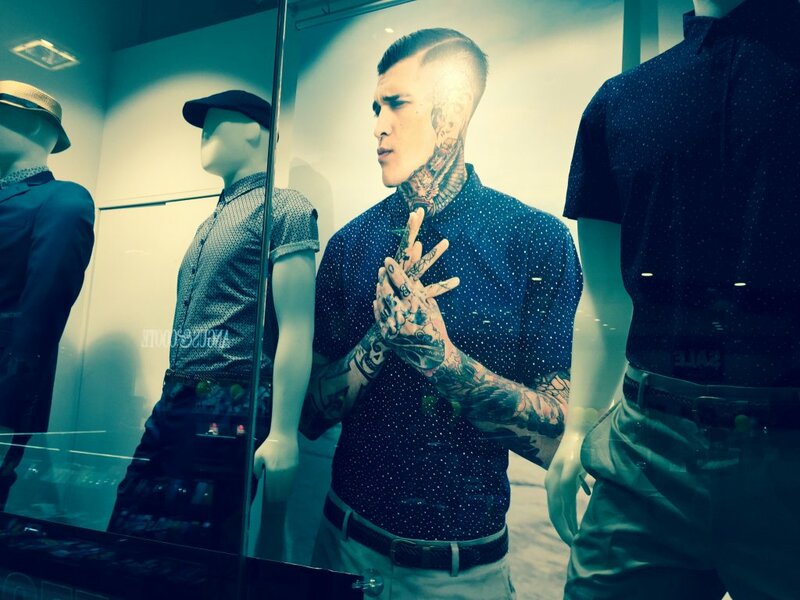 One example is long-standing menswear retailer Roger David’s recent use of an almost completely tattooed male model, who features in their ad campaign and store windows (pictured). Without seeing the exact break-down of Roger David’s customer profile, I can safely say that this is a disconnect and not at all reflective of Roger David’s core customer. Eye catching, yes. Creating a closer connection between the consumer and their brand? I highly doubt it. (By the way, this isn’t a judgement on tattoos, it’s just the reality). The same danger of the disconnect is on auditory display in other retail stores, where the loud music chosen by the Redbull-drinking 18-year-old sales assistant resentfully working a Saturday morning shift belies the customers walking into the store (with the majority swiftly turning on their heel to escape the chaotic noise). It’s important we are connected to our businesses at a personal level; I understand the need to enjoy our working environments, feel proud of our marketing campaigns and be able to deliver on customer experiences in an authentic way. But when these decisions are at the detriment of how our customers see our brand, then it’s not smart business. Sometimes in business you can’t see the forest for the trees. Taking a step back and scanning for subjective decision making is a valuable process. It’s like a regular health check and will help prevent ‘subjectivity disease’ spreading across your business faster than the popularity of tattoos. If you’d like to get a fresh perspective on your business and learn more about our 18-Step Retail Revival Opportunities Audit, you can schedule a complimentary, obligation-free phone consultation by clicking here.